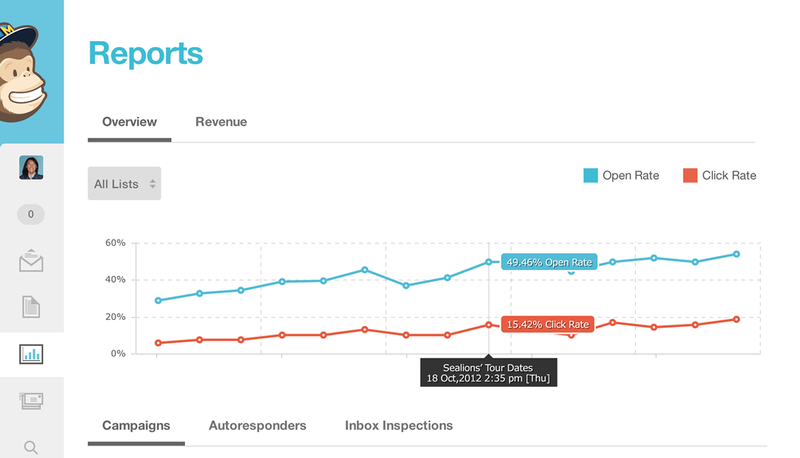 We excel at developing and delivering Email Marketing programs using Mailchimp, Aweber, and Constant Contact. We can help you expand your double optin-in E-mail lists by installing email capture forms on your website. Ohio Web Agency can help you write, design, and deliver well timed up-to-date e-newsletters that are required if you want to win online. E-mail marketing has some of the highest conversion rates of any online marketing strategy. We like doing things as efficiently as possible. Ten years ago, you would have had to manage your own mailing list software. Email domains would get banned and blacklisted – this required you to spend hours getting your entire domain unblocked from the major Internet providers. Today, with automated software like MailChimp, organizing and managing your own email marketing campaign is a simple task. We will help you setup your account, create your custom designed templates for your email campaigns, and even run the campaigns on your behalf. We can also train you so you can manage them yourself. Our developers embrace software tools that will make your life easier. Direct marketing to both current and future customers. Let us help you generate more revenue. We design custom websites using the WordPress platform. WordPress is the open source software that is currently powering over 20% of all websites on the internet. With WordPress our clients are able to take control of managing and updating their site without being forced to pay us a monthly maintenance fee.